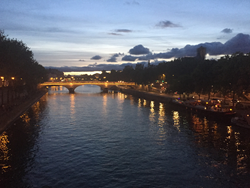 Just in time for the holidays, Left Bank Writers Retreat is gearing up for its 2018 Paris experience, June 10-15, with a holiday discount for interested literary travelers offered through Dec. 31, 2017. 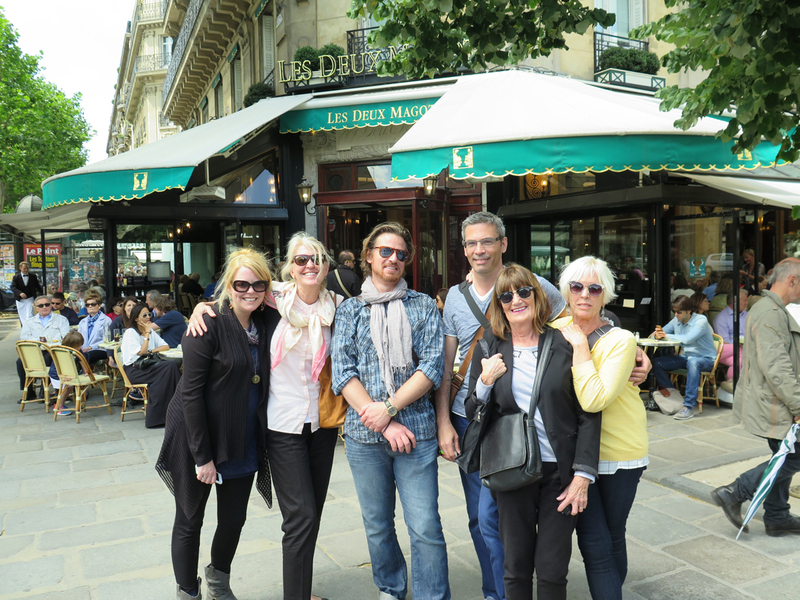 The six-day writing workshop and literary tourism opportunity inspires writers through exploration of the Paris landmarks and writing techniques of Ernest Hemingway and his Lost Generation cohorts. Paris offers literary inspiration year-round, whether for Ernest Hemingway at Christmastime or for writers attending the June Left Bank Writers Retreat, now offering a holiday discount. The Paris travel opportunity, which explores the writing techniques and literary haunts of Hemingway and his “Lost Generation” cohorts, is a perfect holiday gift for writers. “It is wonderful in Paris to stand on a bridge across the Seine looking up through the softly curtaining snow past the grey bulk of the Louvre, up the river spanned by many bridges and bordered by the grey houses of old Paris to where Notre Dame squats in the dusk,” wrote Ernest Hemingway about Christmastime in Paris in 1923, celebrating his famed love for the city. Just in time for the holiday, the Left Bank Writers Retreat, a small-group six-day writing workshop and literary tourism experience held in Paris each June, is offering a $200 discount off its $1,999 regular price for the June 10-15, 2018, retreat through Dec. 31, 2017. The Paris travel opportunity, which explores the writing techniques and literary haunts of Hemingway and his “Lost Generation” cohorts, is a perfect holiday gift for writers, says Left Bank Writers Retreat Director Darla Worden. “Hemingway has always been inspirational to my writing and it was my curiosity about his writing life that first led me to create the program in Paris eight years ago. I love weaving writing tips from the master as well as firsthand glimpses of the vastly creative arts community in 1920s Paris into the retreat’s morning writing workshops and afternoon literary travels,” Worden says. For Left Bank Writers Retreat attendees, Worden’s excitement about Paris and her literary heroes is contagious and has led to published work for participants that includes award-winning poetry books and short stories. As a holiday gift-giving incentive, anyone paying for this summer’s retreat by Dec. 31, 2017, can attend for a reduced price of $1,799 (regular price is $1,999). This year’s Left Bank Writers Retreat will take place June 10-15, 2018, and tuition covers all expenses during the retreat from 9 a.m. to 5 p.m. daily (breakfast, lunch, admission fees and transportation around the city, as well as writing instruction). Writers are responsible for their own airfare and lodging. Darla Worden lives in Denver, Colo., and Paris. Worden is Editor in Chief of Mountain Living magazine and has written widely for magazines and authored several books. She writes the popular blog Frenchophile and is currently working on a book about Hemingway’s Paris. Now in its eighth year, the Left Bank Writers Retreat takes place on the historic Île Saint-Louis in the heart of Paris. Writers arrange their own lodging and transportation to Paris. For additional information or to register for the retreat, visit http://www.leftbankwriters.com. 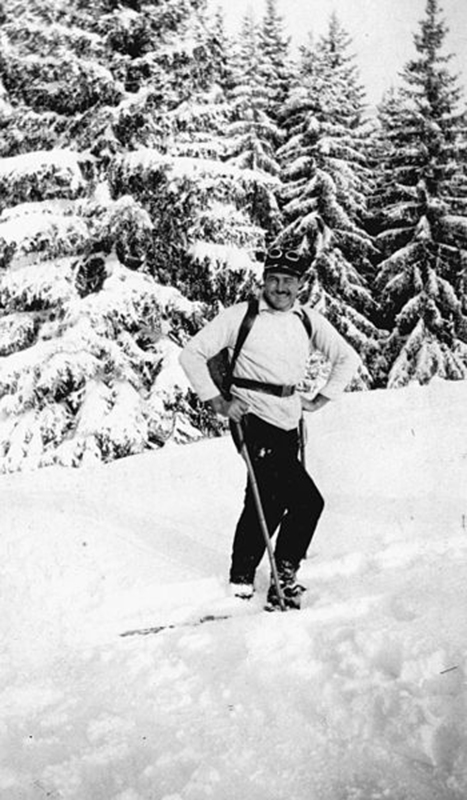 The summer Left Bank Writers Retreat in Paris explores the literary haunts and writing techniques of Ernest Hemingway, pictured here skiing in 1927. 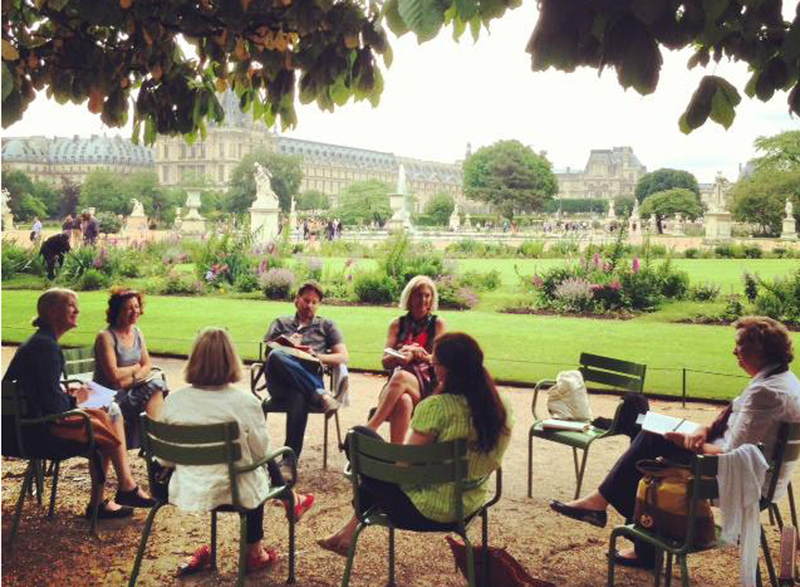 An annual small-group six-day writing workshop and literary tourism experience held in Paris June 10-15, 2018, the Left Bank Writers Retreat is offering a holiday discount through Dec. 31, 2017. The Left Bank Writers Retreat, which explores Paris with daily writing workshops in inspirational settings for its small group of literary travelers, makes the perfect holiday gift for writers.